Sarah Contos Presents: The Long Kiss Goodbye, 2016, Gift of the James & Diana Ramsay Foundation for the 2017 Ramsay Art Prize, Art Gallery of South Australia, Adelaide. Courtesy of the artist and Roslyn Oxley9 Gallery, Sydney and STATION Gallery, Melbourne: photo: Saul Steed. A $100,000 art prize supporting contemporary Australian artists under 40. Open to Australian artists under 40 working in any medium, the Ramsay Art Prize has redefined the way we think about art prizes. Finalist works are selected by an eminent panel of judges and shown in a major exhibition at the Art Gallery of South Australia. The winning work is judged from the exhibition and is acquired into the Gallery’s collection with the winning artist receiving $100,000, thanks to the generosity of the James & Diana Ramsay Foundation. The exhibition also includes a People’s Choice Prize worth $15,000, supported by sponsor Lipman Karas, and decided by public vote. Finalists for the 2019 Ramsay Art Prize will be selected by international judging panel: Russell Storer, Deputy Director (Curatorial and Research), National Gallery of Singapore, Richard Lewer, contemporary artist, and Dr Lisa Slade, Assistant Director, Artistic Programs, Art Gallery of South Australia. Finalists will be announced on Monday 29 April 2019 and the winner announced on Friday 24 May 2019. The exhibition will be held from 25 May to 25 August 2019. The People's Choice Prize will be announced 9 August 2019. How do I enter the Ramsay Art Prize? Are there any criteria for the entry of works? Do I have to be a solo artist to enter or can I make an entry as part of an existing art collective? How is the age criteria of less than 40 years defined? I reside six months overseas and six months in Australia. Am I still eligible to enter? When does the entered work need to be created to be eligible for judging? How can I prepare myself for the entry submission process? What does acquisitive prize mean? Who will judge the 2019 Ramsay Art Prize? 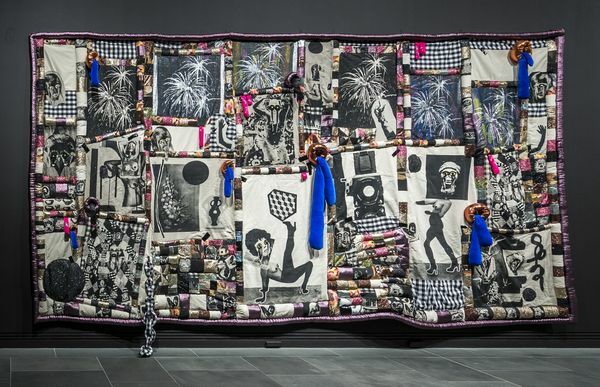 When will the 2019 Ramsay Art Prize winner be announced? When will the 2019 Ramsay Art Prize finalist exhibition take place? Entries for the 2019 Ramsay Art Prize are now closed. Entries for the 2021 Ramsay Art Prize will open in September 2020. Entries to the Ramsay Art Prize must be contemporary as defined by the entrant. There are no restrictions on scale, medium or subject matter. All media refers to the type/form and presentation of the art to be judged, including but not limited to sculpture, painting, drawing, photography, installation, sound digital, net or live art. An administration fee of $50 (inc. GST) is applicable. The administration fee is payable at the time of entry via Visa or Mastercard only. Only one entry per person or collective is permitted. Duos or art collectives are eligible to enter. Only one entry per solo, duo or collective will be accepted, which means artists must select whether they enter with an artwork from their solo practice or from their duo/collective practice, not both. Entrants must be under the age of 40 years at submission deadline. Proof of age may be required. Entrants must be Australian citizens or permanent residents, living in Australia as their main place of residence. For the 2019 Ramsay Art Prize, the entered work must be new work, that is, the work must have been completed after 14 December 2017. The following information will be required for your Ramsay Art Prize entry. Please note that it is not possible to save a partially completed entry and return to it at a later date. If you exit part way through the entry process any information you have entered will be lost. If your work is a video or sound file please make your file available for viewing on a website such as YouTube, Vimeo or Soundcloud. You will need this link address in your application. It is not possible to attach sound or video files to your entry. 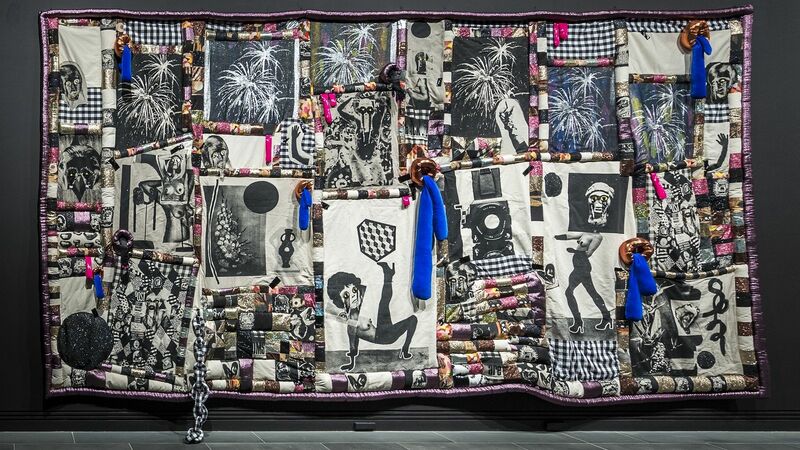 The Ramsay Art Prize winning work will be acquired into the Art Gallery of South Australia’s collection at no additional cost. In 2019, finalists will be selected by an international judging panel: Russell Storer, Deputy Director (Curatorial and Research), National Gallery of Singapore, Richard Lewer, contemporary artist, and Dr Lisa Slade, Assistant Director, Artistic Programs, Art Gallery of South Australia. The winner will be announced at an invitation only event on Friday 24 May 2019. 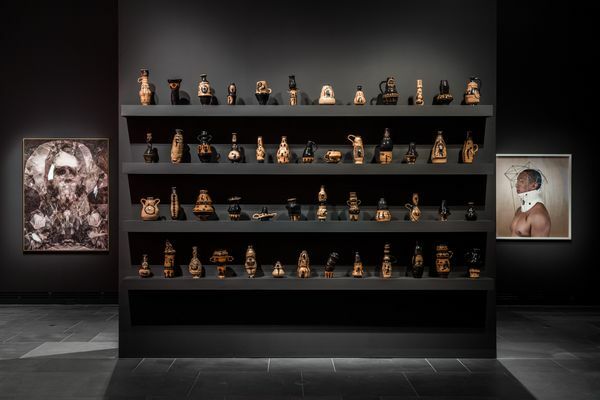 The finalist exhibition at the Art Gallery of South Australia will be open to the public from Saturday 25 May 2019 until Sunday 25 August 2019. Finalists from the Ramsay Art Prize 2017 in a major AGSA exhibition. Finalists from the Ramsay Art Prize 2019 in a major AGSA exhibition.